It's been quite a while since we had a ZOTAC graphics card on our test bed at Vortez and like buses, two come along at once. Both of today's samples are based on NVIDIA's GTX 970 Maxwell core and from the specifications do not appear that different from each other. 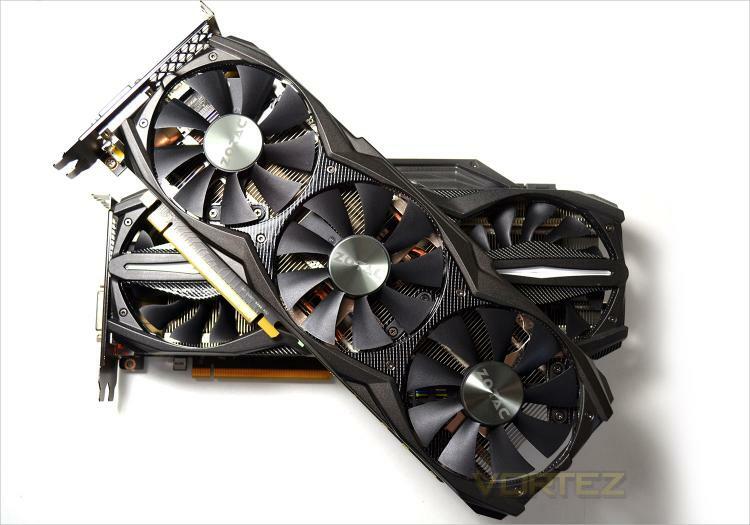 Indeed, ZOTAC have not two, not even three but six of the GTX 970 in their massive product line up. We would say this is overkill but you cannot fault ZOTAC for giving the buyer the option to choose exactly what they want, not only from a graphics card but from a specific core! The two samples on review today hail from the AMP! Extreme end of the range with the Core version being the fastest on paper, albeit by just 25MHz (base clock). As you will see though, the two graphics cards are quite different in the flesh. Both cards are cooled courtesy of three fans and each has it's own unique features but both come with a 5 year warranty and are both heavily overclocked from the factory so you can be assured that whichever your preference, you will be getting a quality assured product that will serve you well for years to come. Amplify your gaming experience with the highly tuned ZOTAC GeForce AMP! Edition graphics cards. Too much is never enough when it comes to 3D performance. The ZOTAC AMP! Edition graphics cards start where the ZOTAC GeForce-series leaves off. Starting with a ZOTAC GeForce-series as the baseline, ZOTAC AMP! Editions go through rigorous tweaking and tuning to extract additional performance from the GeForce graphics processors, yielding unprecedented performance in its class. Expect nothing but the best gaming experience with the ZOTAC GeForce AMP! Edition graphics cards.